Fiona McNair is a peasant girl in 16th Century Scotland. Her grandmother, the leader of the village coven, is teaching her herbcraft, healing and magic, as she follows the visions that lead her in a path of shamanic powers known as Witchcraft. Fiona grows to be beautiful and falls in love-with her wild Gypsy friend Annie; with Sean, the youthful, wealthy and potentially dangerous son of the village Lord; and with a minstrel who still dares sing the old songs of magic and power. 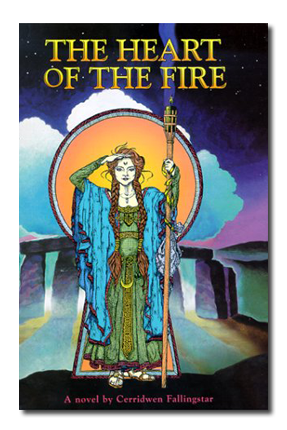 Cerridwen’s first novel, The Heart of the Fire is a suspenseful blend of magic, romance, danger and eroticism. Even more, it is an authentic past-life chronicle, a unique and revealing window into the lives of historical Witches from their own viewpoint; who they were, what they believed, what all of us lost as the magical web of life was torn asunder. 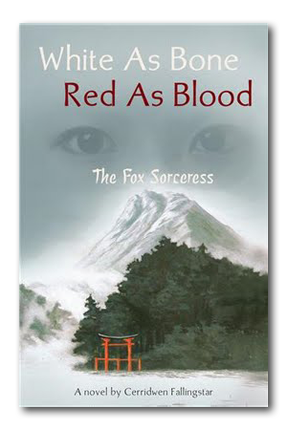 White as Bone Red as Blood: The Fox Sorceress is a historical novel set in 12th century Japan. It takes place during the Gempei Wars, spanning the end of the artistic Heian Period and the beginning of the warlike Kamakura Era. During the Heian Period, the ‘ideal man’ was measured by how delicately he blended his own unique incense and perfumes, how perfectly he matched the colors in his layers of garments, by the elegance of his poetry and the eloquence of his “morning after letter” to the lady with whom he had spent the previous night. The Kamakura period, which violently ended and supplanted the Heian Period, saw the rise of the Samurai. In this era, the ideal man was one who could knock an enemy off his horse at a distance of five hundred yards with his bow or split him in half with a single blow from his sword. 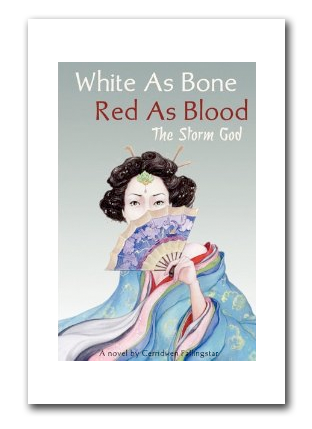 White as Bone, Red as Blood; The Storm God, is the second and final book in this series. While it can be read on its own, a fuller, more satisfying experience will be obtained by reading White as Bone, Red as Blood: The Fox Sorceress, first. To understand the true cost of war, one must understand what a culture was like in times of peace. The Fox Sorceress offers a window into the courtly life of the Heian period before that highly sophisticated and beautifully artistic way of life vanished into the maw of the Gempei Wars. The Storm God depicts the unraveling of that peace, as the Genji clan regains its strength and challenges the Heike to a series of shattering battles whose outcome will forever alter the course of Japanese History.